Golf is a fun sport which at a glance may not appear to be as strenuous compared to other popular sports such as football, baseball or basketball. However, a typical golf swing can exert pressure and torque on the shoulders, back, hips and mid-section which could result in injury. The best way to prevent injury is to ensure that proper mechanics/posture are utilized along with a proper warm up and stretching routine. 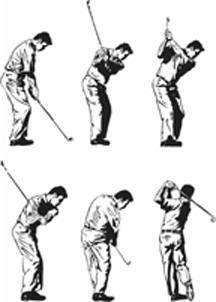 Your posture is not only vital to the successful execution of your golf swing but to your health as well. Poor mechanics/posture results in over 90% of all swing errors and at many times may be the cause for injury. Proper mechanics/posture should be utilized throughout the four stages of a swing: 1) backswing 2) downswing 3) ball strike & 4) follow through. 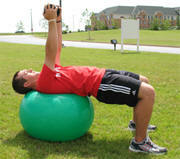 It is essential that your body works together and efficiently in order to coordinate a successful swing cycle. Stretching plays an important role in the success of an athlete’s performance and in preventing injury. This aspect of exercise is quite often forgotten or neglected by both athletes or individuals who participate in exercise. Quite often, physical therapists see many individuals who could have prevented their injuries if they had performed proper stretching exercises that would have helped them improve or maintain their flexibility. The scientific literature that is available is controversial on whether stretching is beneficial or not but it can be concluded that when stretching is performed properly, it can help improve flexibility. Prior to participation in an event that requires physical exertion, it is recommended that you stretch and warm up in order to prepare your body for activity. Stretching can help decrease the tightness of your muscles and tendons and help improve the range of motion at various joints such as your knee or ankle. Since muscles and tendons assist in moving a joint, they need to be able to move a joint through the full range of motion when participating in various activities such as running, jumping or biking. Should these muscles be tight, than they are more likely to be pulled or injured. Some common stretches for your calf, hamstring, quadriceps, groin and hip flexors are available for observation along with instruction on video clips. An important concept, which is often forgotten, is to remember to stretch after participation in athletics or exercise. The rationale behind stretching after participation in physical activities is that your muscles and tendons are already warmed up and will be more easily stretched. You are more likely to gain and maintain flexibility while minimizing muscle soreness and fatigue by stretching after exercise. 1. do not overstretch but do stretch to the point of slight discomfort. 2. hold the stretch for 15-30 seconds and don’t bounce. 3. stretch both sides when stretching. 4. stretch all major muscle groups (ie. 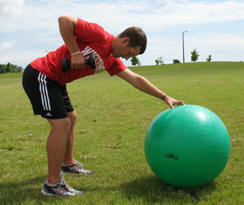 calves, hamstrings, quadriceps, groin, hip flexors) videos 08, 25, 28, 30 and 24. Golf is a dynamic sport that utilizes the entire body to generate a specific sequence of motion. Having strong muscles can help you withstand stresses and injury to various regions of your body and help improve your endurance, speed and performance. The power required for a golf swing is not generated through your shoulders but rather through your core, hips, and legs. Having sufficient strength in these regions can not only help you improve your game but minimize injury as well. With your upper back on the stability ball and your hands straight up in the air with a dumbbell, rotate your trunk to one side utilizing your abdominal muscles while keeping your hips and legs locked. Your arms should be maintained in a straight position throughout this exercise. Repeat with the other side. Perform 8-10 reps for each side for 2-3 sets. 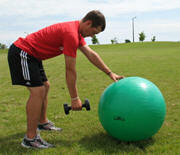 In a partial squat position, rest your free arm in a straight outstretched position on the stability ball. Make sure your back is straight throughout this exercise and bring the arm holding the dumbbell straight back by bending at the elbow and pinching your shoulder blade. Perform 8-10 reps for each side for 2-3 sets. With dumbbells in each hand, perform a deep squat while maintaining an erect and straight back. Your knee which is in front of you should never go past your toes. Repeat with the other leg and continue to alternate legs. Perform 8-10 reps for each side for 2-3 sets.